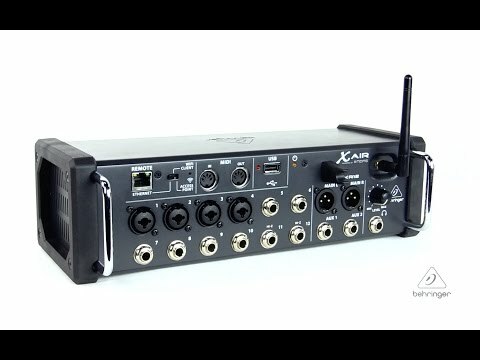 Product Overview The revolutionary XR12 is a powerhouse 12 input portable/rack-mountable mixer for iPad and Android tablets, and is ideally suited for both live and studio applications, thanks to its 4 award-winning MIDAS-designed mic pre-amps, convenient integrated Wifi module for wireless control, plus USB connectivity for file storage, system updates and uncompressed stereo recordings via the USB Stereo Recorder. Also included are the rack ears and protective bumpers for added flexibility in your studio and stage applications. The freedom to move around and manipulate all parameters of your mix with the free iOS and PC apps lets you dial in the perfect sound from anywhere in the venue – or the tracking room! Advanced engineering and meticulous design deliver stellar sonic performance at an extremely affordable price – changing the game once again.